CHULUX Single Serve Coffee Maker Brewer for K Cups 12 Oz Tank is currently selling at $39.99, which is its normal price. It has a lowest price of $39.99 and is selling within its usual range. Price volatility is 0.15% (meaning it does not change often), so you might have to wait a while for the price to drop. Until then this is a recommended 'ok deal'. The current deal is also the best price on this item over the last month. 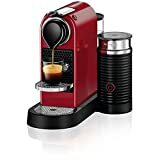 Compare the current price, savings (in dollars & percent) and Buy Ratings for the top Espresso Machines that are closely related to CHULUX Single Serve Coffee Maker Brewer for K Cups 12 Oz Tank. Here is how CHULUX Single Serve Coffee Maker Brewer for K Cups 12 Oz Tank compares with other leading Espresso Machines. 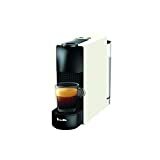 CHULUX Single Serve Coffee Maker Brewer for K Cups with 12 OZ Water Tank(Black) FeaturesK-Cup Single Serve Coffee Maker - This coffee brewer fits most of K-Cup capsules. Never worry about 1.0 or 2.0 again. Drink whatever K-Cup brand you love.One Touch Operation - Simple touch button make it easy to brew your favorite beverage. Just insert a pod, press the button. 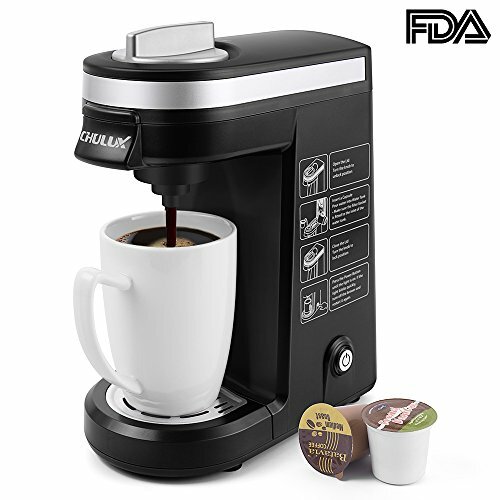 You can enjoy your great-tasting coffee in 3-5 minutes.Compact and Portable - With the most compact design and durable construction in the market, the CHULUX K Cup Brewer is perfect for home,office,dorm room,apartment,caravan,etc.Removable Drip Tray and Water Reservoir - Easy to clean with the removable drip tray,12 oz/360 ml water tank.